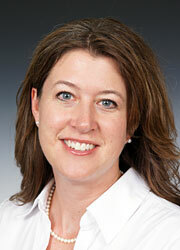 Dr. Linda Koehler is an assistant professor in the Physical Therapy Program and Masonic Cancer Center. Koehler's research focus includes breast cancer survivorship with specific interest in lymphedema and axillary web syndrome. Lymphedema refers to chronic swelling most commonly caused by the removal or damage to lymph nodes as a result of cancer treatment. Koehler’s goal is to improve the physical health and well-being of cancer survivors by addressing the physical impairments, such as lymphedema, and improving treatment and access to rehabilitation and other services following cancer diagnosis. Read Dr. Koehler's full biography.